Frank’s 18-year-old mother Minnie Hopgood, a domestic servant, was living at the Reading Union Workhouse when she died of puerperal septicaemia and acute peritonitis after giving birth to her son. Workhouse infirmaries were often the only hospital facility available to the poor, Minnie was probably only there because she had no family to help her through her labour. When the workhouse system was abolished in 1929 the Reading workhouse became Battle Hospital (so named as a memorial to those lost in WW1) and continued to provide health care to generations of Reading's citizens. As an orphan child of the workhouse Frank’s prospects were not great, in 1901, at the age of 4 he was recorded in the census as a pauper pupil at the Reading and Wokingham District School ‘for training, lodging and educating pauper children’. However, Frank struck lucky when he was placed with the Povey family in Newbury who looked after him as one of their own. Frederick Povey and his wife, Harriet Ann, had not been lucky in their own attempts to have a family; one of their two children died young, the other Winifred Dorothy was paralysed at the age of six. Seemingly unable to have more children of their own they fostered young orphans, like Frank; others included Rose Cox, Alfred Stead and Henry Joseph Morton. In later years Frank would refer to Harriet as his step mother and even his mother. The Poveys lived at 12 Oxford Street and Frank attended the local school (St Mary’s Speenhamland) until he was 12 or 13. Fred Povey was a partner in Povey and Plumb, plumbers and whitesmiths and took Frank into the firm as a trainee; another employee was Fred’s paralysed daughter, Winifred, who was the firm’s bookkeeper. Interestingly Frank was baptised in Newbury, at St Mary’s, on 26 February 1911. As he had been with the Poveys for some years it is suspected that the decision to be baptised was influenced by news from Reading. Frank was still a minor, still the responsibility of the Guardians of the Poor from Reading who would have been paying the Poveys to foster young Frank. Keen to reduce the burden on the ratepayers from orphans like Frank, a common solution at the time was to send the youngsters to the colonies, where new colonists were needed. Organisations like Dr Barnardo’s and Home Children arranged for groups of children to be shipped to Australia, Canada, New Zealand and South Africa and fostered with families. In 1911 the Guardians selected a group of children for emigration – including Frank. So he left England for a new life in Canada where he was settled in Ottawa. There he developed a relationship with Mrs J J Armstrong from Strathcona Avenue. The relationship was evidently serious, but it is not clear whether this was a romance or another surrogate mother (the latter being the more likely explanation). Throughout Frank’s army career Mrs Armstrong received $15 (approx £3) a month from his pay – the so called ‘separation allowance’ normally paid to a soldier’s wife while he was away. On 29 November 1915 Frank volunteered for the army (giving Harriet Povey as his next of kin) – and joined the Canadian Overseas Expeditionary Force. As a colony Canadian troops were a part of the British Army, but were kept together in Canadian battalions, brigades and divisions – which became the Canadian Corps in September 1915. By the end of hostilities this Corps had earned a reputation as an outstanding force. Attestation papers (the forms filled in by the would-be recruit) give a tantalising idea of what he may have looked like – Frank was 5ft 6¾in tall with a fair complexion, blue eyes and ‘light’ hair. In the absence of a photograph this is the only clue as to his appearance. Frank crossed the Atlantic on the SS Missanabie landing in England on 28 June 1916. Soon after he was transferred to the 87th Infantry Battalion (the Canadian Grenadier Guards) and, a month later, on 12 August 1916 he landed at Le Havre in France with his new battalion. The battalion was in the 111th Canadian Brigade, 4th Canadian Division – the last of the Canadian Divisions to arrive in France. The battalion took part in the later phases of the Battle of the Somme and then, in the Battle of Arras during April and May 1917. It was during this battle that the fighting prowess of the Canadians first came to the fore as they took Vimy Ridge on 9 April, during the opening phase of the battle. The French had made several attempts to capture this ridge each time failing with massive losses; the success of the Canadians has become legendary. It is commemorated by the impressive Canadian Memorial that dominates the ridge today. Frank was not with his comrades in the assault, instead he was in hospital (7th Canadian General at Etaples) with mumps. The Canadians fought on through the remainder of the battle, which followed the pattern of so many other offensives with encouraging early gains being followed by increasingly costly and ineffective attempts to make further progress. After the offensive was called off on 15 May the units involved had a chance to regroup, properly integrate the new men arriving to make good their losses and, for the fortunate, there would be a chance of leave. Frank was one of the lucky ones who got ten days leave – perhaps he returned to Newbury to visit the Poveys? The Canadians’ next moment of glory would come at Passchendaele in October/November 1917, but Frank would not be there to share it. He had evidently impressed his superiors who promoted him several times: on 11 November 1916 to Lance Corporal; 16 December to Acting Corporal; 1 April 1917 confirmed as Corporal; 15 April 1917 to Acting Sergeant; and then, on 16 August 1917, he was confirmed as a Sergeant. Finally, on 28 September 1917, he was sent to the UK for an Officer Training Course at Bexhill-on-Sea. Somewhat bizarrely his papers were mistakenly sent to the Canadian Discharge Depot at Buxton in Derbyshire – this was the office that dealt with the discharge of soldiers who were no longer fit for service. The key role was to arrange the men’s transport back to Canada where their discharges would be finalised. 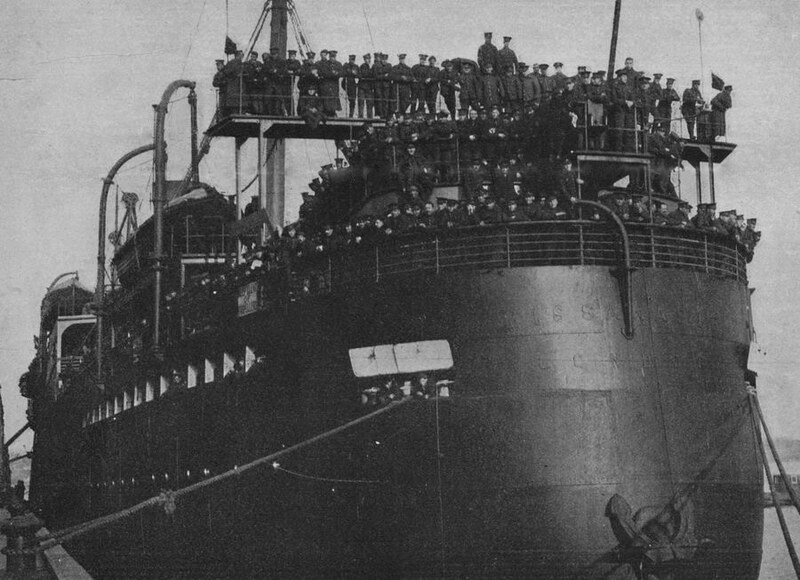 As a result of the clerical mistake Frank was booked a berth on the SS Oceania sailing from Liverpool on 8 November 1917 bound for Halifax, Nova Scotia. Meanwhile Frank was in Bexhill totally unaware of the empty berth on the Oceania. Frank completed his training course and was commissioned as a Temporary Lieutenant with a seniority date of 26 January 1918 (Gazetted 12 February) and posted to the Canadian Army camp on Bramshott Common in Hampshire. After almost two months at Bramshott Frank was posted to the Royal Flying Corps (RFC) – he would have asked for this posting, however, this was not necessarily safer than a return to the trenches - the life expectancy of a newly arrived pilot at the front was every bit as short, or shorter, than that of an infantry subaltern. A matter of days after he was posted to the RFC the Corps ceased to exist as it was absorbed, along with the Royal Naval Air Service into a new branch of the British armed forces – the Royal Air Force. Frank was posted to No 1 School of Military Aeronautics – this was based at Coley Park in Reading, so Frank may have had more opportunities to visit Harriet Povey (Fred had died in 1917), who he continued to give as his next-of-kin, although her address c/o Mrs A North, 3 Compton Cottage, London Road, Newbury led at least one RAF clerk to believe that Mrs North was Frank’s step-mother! On 18 May Frank was posted to 198 (N)TS (Night Training Squadron) and then on 10 August to 188 (N)TS at Throwley, near Faversham in Kent. These squadrons taught pilots to fly and fight at night; on graduation they would join night fighter squadrons, which operated both in the UK and on the Western Front. these aircraft when he had his fatal crash. Sadly Frank would not graduate. On the morning of 14 October 1918 he took off in a Sopwith Camel (No. 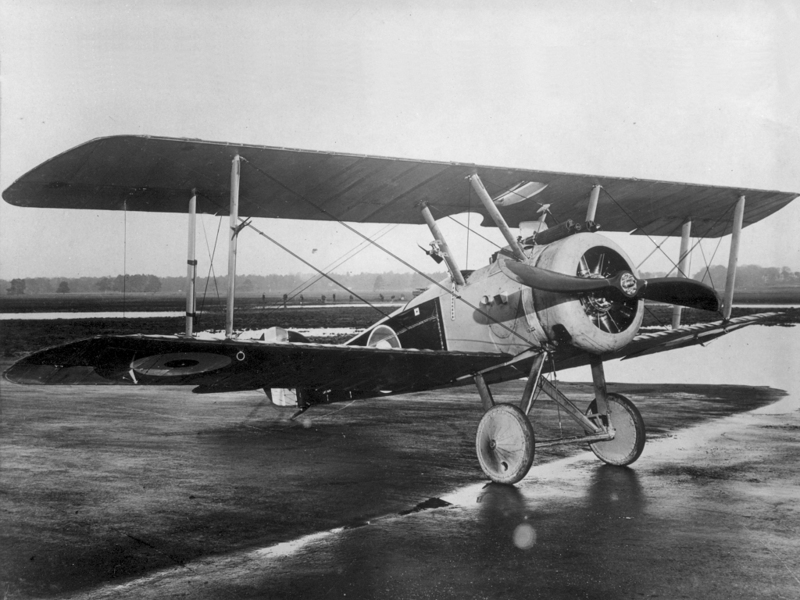 F2004), a single seat scout (fighter) introduced in 1917 that had been outclassed as a fighter by mid-1918, but could still perform well in a night fighter role. The Camel was notoriously tricky to fly, though as its instability actually proved an advantage in dog-fighting and it was a very successful aircraft for a while. The night fighter variant (with its guns repositioned to avoid their muzzle flash blinding the pilot) was nicknamed the Comic. At about 8.15am that morning Frank lost control of his aircraft which went into a spin; he was unable to recover from the spin and the plane crashed into the ground killing Frank. It is not known whether this was caused by Frank’s inexperience or a mechanical failure. HOPGOOD – October 14, killed while flying, at Faversham, Kent. Lieut Frank Hopgood, 87th Canadians, aged 23, deeply mourned. 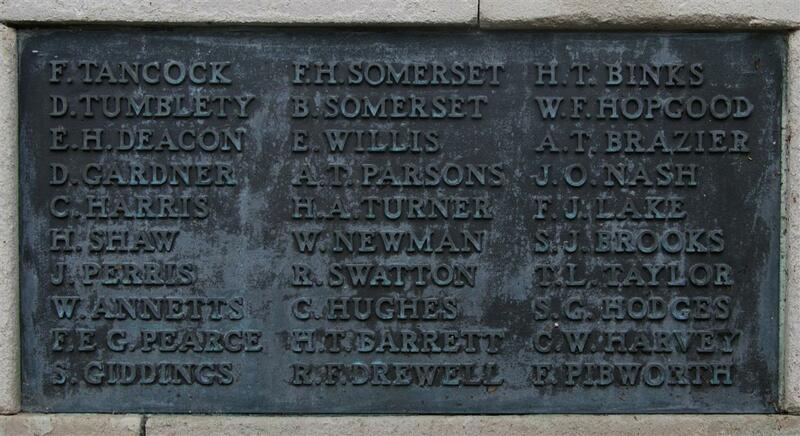 Flight-Lieutenant Edward William Frank Hopgood, who was killed in a flying accident in East Kent, was educated at St Mary’s School, Speenhamland, and trained at Messrs Povey and Plumb’s, Oxford-street. He went to Canada, where he joined up at the outbreak of war. He quickly secured promotion and obtained a commission. His age was 21, and he had many Newbury friends. The funeral took place at Throwley, near Faversham. Frank was buried in the nearby churchyard of St Michael’s.,Throwley. Locally he is remembered on the Newbury Town War Memorial and the Speenhamland Shrine (the memorial created to remember the fallen from the parish of St Mary’s, Speenhamland – relocated to St Nicolas’ church in Newbury when St Mary’s was demolished in the 1970s). His name was also recorded on the memorial board placed in Speenhamland School to commemorate former pupils who died as a result of their war service. Shortly before he went to France in 1916 Frank had made a will, on a form supplied by the Army, leaving his estate to be shared between Harriet Povey in Newbury and Mrs Armstrong in Canada. The authorities took this to an extreme when they sent his British War Medal to Mrs Armstrong and his Victory Medal to Harriet Povey.